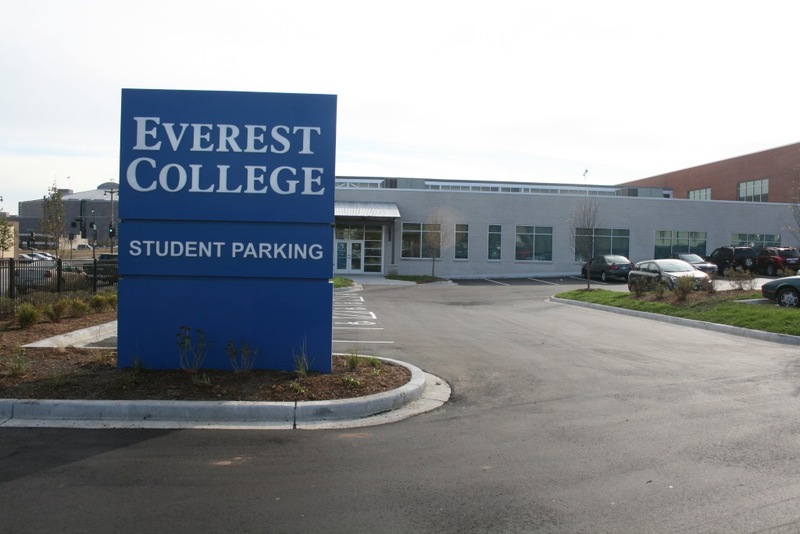 Everest College. Photo by Jeramey Jannene. The Milwaukee Common Council is proactively moving to cement Obama-era protections for students that may be preyed upon by for-profit colleges, now that new leadership at the federal Department of Education could eliminate those protections. The proposed city legislation would codify standards, currently in place at the federal level, for any for-profit college seeking financial assistance for development. Right now, the City of Milwaukee has a rule that it will not provide financial assistance to for-profit institutions unless they meet programmatic standards outlined in federal law. If those federal rules go away, the ordinance would no longer have rules to hang its cap on. For-profit institutions, like Everest College, ITT Technical Institute, Kaplan College and Sanford-Brown University, have a track record of defrauding students by pushing them to take out massive students loans for unaccredited programs. “Many of whom prey on students and residents of whatever city they’re in,” Coggs said. There is reason to think the Trump administration will be less vigilant on this issue. Secretary of Education Betsy DeVos’ recently appointed special assistant is a man named Robert S. Eitel. And according to the New York Times, Eitel was an attorney for Bridgepoint Education, a notorious for-profit education company with multiple lawsuits against it. Milwaukee can’t depend on state level oversight either, now that Gov. Scott Walker has moved to dissolve the licensing and regulatory body that oversees for-profit colleges in his latest budget. Walker himself is on the receiving end of Bridgeport cash, as the Wisconsin Democracy Campaign has reported, having received $6,000 from Bridgepoint’s political action committee. The Common Council’s Zoning, Neighborhoods & Development committee approved the resolution for adoption last week. When the city’s ordinance was passed several years ago it was a “landmark,” according to Mike Rosen, an economics instructor at MATC, because it was among the first of it’s kind for a city. Rosen said when Everest College came to Milwaukee, within a year and a half of its opening it had a graduation rate of 50 percent and a job placement rate of five percent. He encountered many former students of schools like Everest at MATC, already saddled with enormous debt and a transcript of credits that wouldn’t transfer to a university accredited by a reputable accreditation body. Most major universities and colleges are accredited by regional commissions, he explained. When a college is accredited by a national agency, that’s because it can’t get accredited by a regional agency like the ones that accredit universities like Marquette and UW-Milwaukee. Moreover, these disreputable programs can leave many students unable to afford a real university when they finally leave. “Now they come to us, and they can’t pursue their education because they’re at the 150 percent rule,” Rosen said. The committee’s five members voted unanimously in favor of the resolution with yes votes by council members Coggs, Jim Bohl, Khalif Rainey, Nik Kovac and Russell Stamper. The proposal will come before the full Common Council for approval tomorrow. I think the “for-profit” vs. “non-profit” argument is confusing the issue. I am less concerned about the IRS status of the organization than I am the practices which may or may not be misleading to students or taking advantage of a very out-of-date government. Non-profit and for-profit universities are both corporations. Their goal is to grow and sustain themselves as a corporate interest. Universities with large endowments are now spending more on their investment managers than they are on reducing tuition for students. Keeping in mind their core mission is to provide high quality education and make it accessible to students! I also see that accreditation is confusing (at least to me) because the same accreditation is claimed by both Kaplan, who is mentioned in the story, and Marquette, Alverno, UW, etc. Could it be that the brick-and-mortar institutions (like those who gave me degrees) are feeling the competition from new education models?